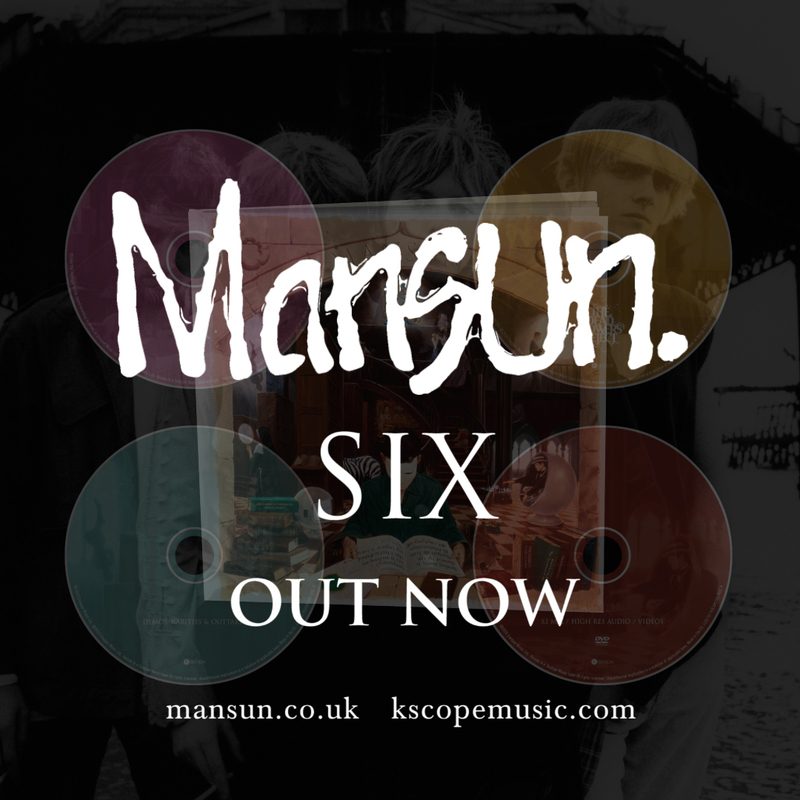 MANSUN’S ‘SIX’ DELUXE EDITION … OUT NOW! The deluxe remastered reissue of the classic cult album, is OUT NOW! ‘SIX’ is on sale in your local independent record shop NOW so pop in and grab a copy! It is also available online: check it out at mansun.lnk.to/SIX_REMASTERED for the full range of options. DELUXE 4-DISC BOOK – three CDs featuring the remastered album in full, a disc of demos, rarities & outtakes, and the b-side album The Dead Flowers Reject. Also contains a DVD featuring SIX mixed in 5.1 surround sound mix (DTS 96/24 5.1 and Dolby Digital AC3 5.1) by long-time collaborator P-Dub; a hi-resolution stereo audio (24bit/48kHz Linear PCM) and all of the album’s original promotional videos. It also comes with a 48-page hardback book featuring sleeve notes by journalist and long-time fan Paul Lester; alongside notes on the album from the band’s Paul Draper (including foreword, analysis of the cover art, track-by-track descriptions for the CD extras and an album overview of The Dead Flowers Reject). Buy now at mansun.lnk.to/SIX_REMASTERED or in your local record store.